ARLINGTON, Va. — McKesson Corp. executive Paul Julian has received the 2015 Nexus Award for Lifetime Achievement from the Healthcare Distribution Management Association’s Center for Healthcare Supply Chain Research and Genentech Inc.
HDMA said Tuesday that Julian, executive vice president and group president at McKesson, was presented the award this week at the 2015 HDMA Business and Leadership Conference in San Antonio. The pharmaceutical distribution industry’s highest individual honor, the Nexus Award recognizes exceptional character, accomplishments, and leadership in HDMA, the industry and the community, according to HDMA. Julian currently oversees McKesson’s domestic and international Distribution Solutions businesses. 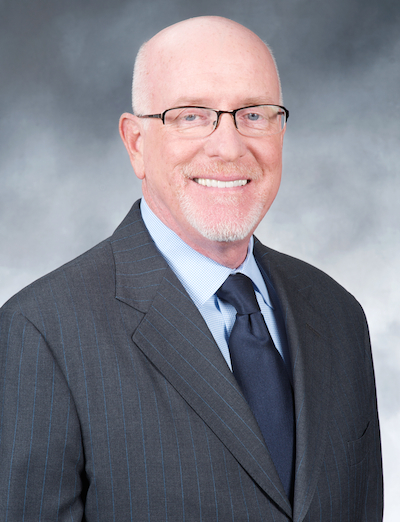 He joined the company in 1996 as executive vice president of McKesson Health Systems and has held a range of roles at the company, including president of its medical-surgical business. While Julian was president of McKesson Pharmaceutical, the company grew from the third-largest to the largest North American pharmaceutical distributor, HDMA noted. He also managed an unprecedented operations and technology upgrade in the company’s history, including the adoption of Six Sigma, and is credited with leading the development of the Health Mart independent pharmacy network, as well as the TogetherRx and Rx Savings Access savings cards, which help seniors save money on their prescriptions. Before joining McKesson, Julian served in senior management positions at health care companies, including Owens & Minor and Stuart Medical Inc., where he became group vice president and chief operating officer within five years of starting as a sales manager. Julian served as a member of HDMA’s board of directors from 2000 to 2013 and was a member of the association’s executive committee from 2005 to 2013. He served as HDMA chairman from 2008 to 2010, and during that time he advocated for the establishment of a federal traceability framework, among other issues, HDMA noted. He also has served as the chairman of the International Federation of Pharmaceutical Wholesalers and serves on the board of the National Association of Chain Drug Stores.